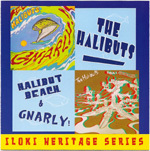 Mostly instrumental surf music, some with a ska edge from the 1980's (pre Pulp Fiction). 14. 40 Miles Of Bad Surf 15. The Twomp 16. Centipede 17. Man From H.A.L.I.B.U.T. 18. Mambo Halibut 19. Batman 20. Got A Match 21. 26 Miles 27. Rumble 28. Gnarly! 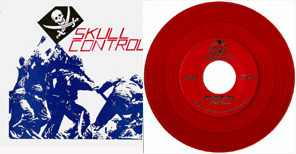 1991 live recording of this short lived band that included Billy Bones (The Skulls), Kidd Spike (The Controllers), Keith Miller & Harmann Senac. It was recorded live at The Whiskey A-Go Go in Los Angeles on November 10th, 1991. It is pressed on red wax.